This Morton 17.6 oz. Mediterranean fine sea salt is great for cooking and blending into your signature recipes. Made as the sun evaporates sea water, these fine salt crystals have a natural taste that your customers will love. This sea salt dissolves quickly in soups and other foods. Mix it into marinades, sauces, and dressings, or simply use it to add an extra pinch of salty flavor to anything you make! The bulk 17.6 oz. canister is perfect for back of the house kitchen use. 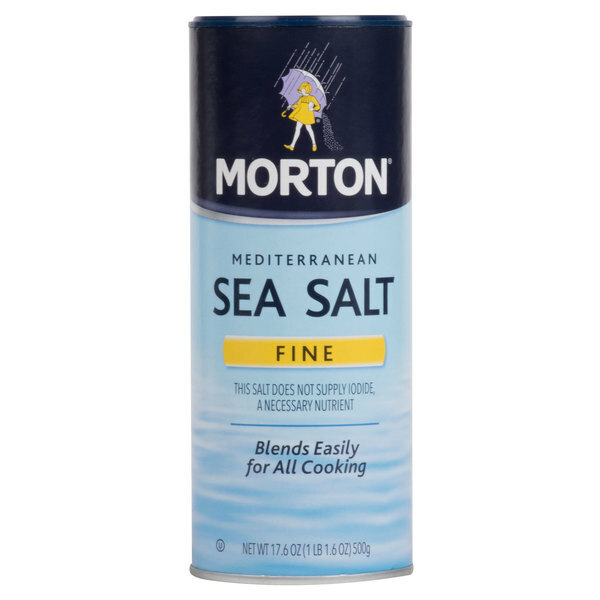 Morton Salt is an iconic brand that has become a staple in American kitchens. Sea salt is essential for cooking and garnishing meals, and you'll find plenty of uses for this sea salt in your restaurant, concession stand, or catering service. 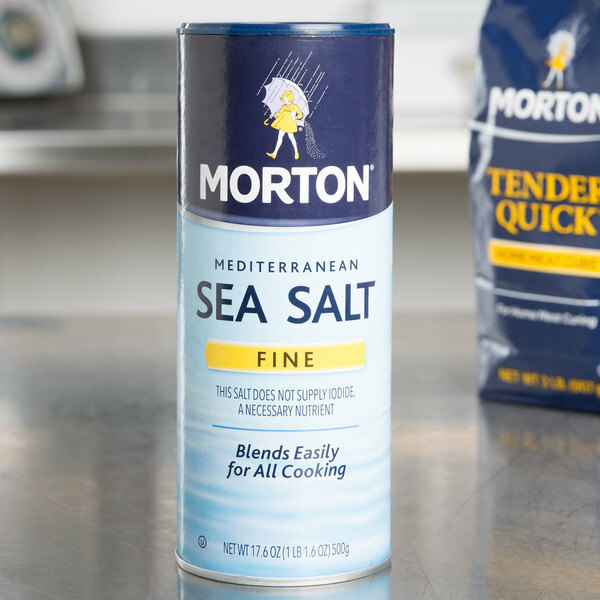 The history of Morton Salt dates way back to the Gold Rush, and this timeless brand has been pleasing chefs and customers ever since, whether it's being used to season entrees, appetizers, or snacks. I absolutely love this sea salt. I leave it out on the counter to sprinkle over my food whenever I need it. I love the texture. This fine sea salt is great. I like to use it in oatmeal because it dissolves very quickly and I'm not left with crunchy pieces of salt to chew on. I love using this salt. Since the flakes are so fine it's perfect to sprinkle over thinks that have a little more delicate texture, like fish.